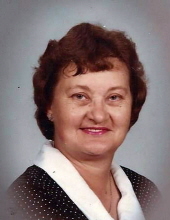 Evelyn Jean Thomas, age 90, of Cunningham passed away Thursday, April 11, 2019 at Countryside Health Care in Bardwell. She was a charter member of Bethlehem Baptist Church and started the first Boy Scouts Club in Cunningham and was a member of the Twin Lakes Car Club in Murray, Ky. She worked for several years at Lowe Funeral Home in Lowes. Evelyn Thomas is survived by her two sons, Bobby Wayne Thomas and wife Shelia Kay of Hickory and Jackie Lee Thomas of Cunningham, a sister Betty Grogan of Arlington and her daughter-in-law Shelia Ray Thomas. She leaves behind two grandchildren Valeria Cope and husband David of Hickory and Robert Thomas, four great-grandchildren, Dustin Cope and wife Jessica, Leah Cope, Megan Gray and husband Justin, and Steven Thomas, 2 great-great-grandchildren, Blakeleigh Thomas and Dawsyn Thomas. She is preceded in death by her husband Paul Thomas, parents Joe Allcock and Lois Harrison Allcock, a son Granville Joe Thomas, a grandson Bobby Glen Thomas, one sister Margaret Moss and four brothers Jewell, Raymond, Lester and Lewis Allcock. Funeral services for Evelyn Thomas will be at 3:00 pm Sunday, April 14, 2019 at Milner & Orr Funeral Home of Bardwell with Rev. Glenn Cope officiating and burial in Old Bardwell Cemetery. Friends may call Sunday after 12:30 pm at Milner & Orr Funeral Home of Bardwell. You may leave a message or light a candle at www.milnerandorr.com. To send flowers or a remembrance gift to the family of Evelyn Jean Thomas, please visit our Tribute Store. "Email Address" would like to share the life celebration of Evelyn Jean Thomas. Click on the "link" to go to share a favorite memory or leave a condolence message for the family.